My 11th and final deployment of my US Naval career was to war torn Afghanistan. This nine-month tour drastically changed my life as the crushing strain of constantly being in harm’s way took its toll. Thereafter I retired with over 22 years of service, but failed miserably at becoming a civilian. I was in a dark place and suffering many long, sleepless nights reliving hellish nightmares. I was on a downward spiral and getting worse each day. Until I discovered the Camino de Santiago. I threw caution to the wind and embarked on this ancient pilgrimage and personal journey. I have no doubt that it saved my life. It is now my mission to guide other suffering Veterans on this journey, this path of healing. The Camino allows the time and space to look deep inside oneself. Through this introspection, one begins to come to terms with what is buried within. In an effort to explain this healing journey to others, I shared my story in A Soldier to Santiago. In A Soldier to Santiago, I recount my final deployment to Afghanistan, delving into personal thoughts and feelings and reliving that downward spiral. However, it also alternates that darkness with an account of my first Camino pilgrimage, illustrating the healing power of the Camino. My hope is that, by reading this personal account, you will understand why this transformational journey can help many other Veterans who suffer the same long, dark nights that I suffered. 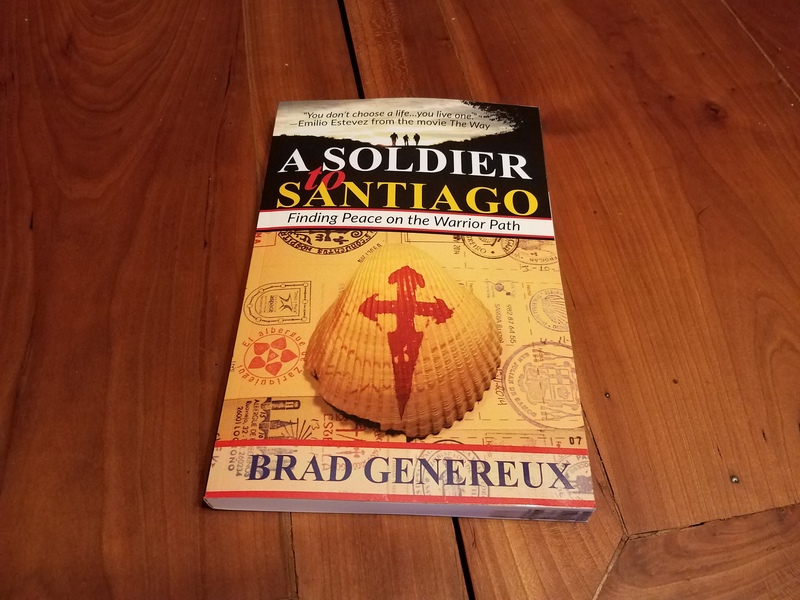 A Soldier to Santiago is now available on Amazon.com. A portion of all proceeds will be donated to Veterans On The Camino to continue furthering this cause. Click on the link below to order a copy. Please share your thoughts in a review on Amazon.com as well. Not sure where you start the Camino but we have a small bread and breakfast that sleeps 7-9 in Des Sevres/ Poitou Charente. We are on the Paris route about two miles north of Bordeaux. Most pilgrims start east of the Pyrenees but some do start farther north. If you do we would be happy to host your group for free. Melle our closest town was an important stopping point for despite of the ill as there are 3 Romanesque churches one which was used for pilgrims needing to rest and needing care. I am American and my husband is English. Thank you so much for your kind offer! We are planning to start from SJPDP but I will keep your generous offer in mind..